The silver haired, baby boomers, with 59 entries, easily out numbered the turnout of 24 entries at the earlier regular Inlands at Rutland Water SC. This age progression within club and class sailing has been highlighted by the RYA at recent seminars and webinars (The Future of Dinghy Sailing)., but at events such as this it is starkly in focus. Not that it worried the competitors at Grafham who enjoyed great competition at their end of saeson championship. 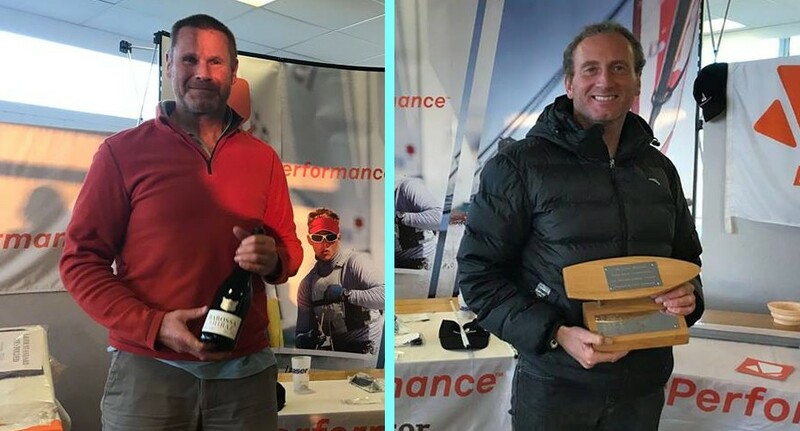 In the Standard Laser Alain Davis (above left) was the overall Masters Inland Champion and leading Grand Master. In second place and leading the Master group was Orlando Gledhill, with David Summerville taking third place. Winner of the Apprentice Master group was Jim Fifield in 10th overall, and Timothy O’Leary in 27th place was leading GGM. In the Radial Laser event, Jon Emmett (above right) was the overall Masters Inland Champion and leading Apprentice Master. In second place and leading the Master group was Ian Jones, with Sean Craig in third place. Winner of the Radial GGM group was fifth placed Glyn Purnell, with Jonathan Jones in eighth place the leading GM.